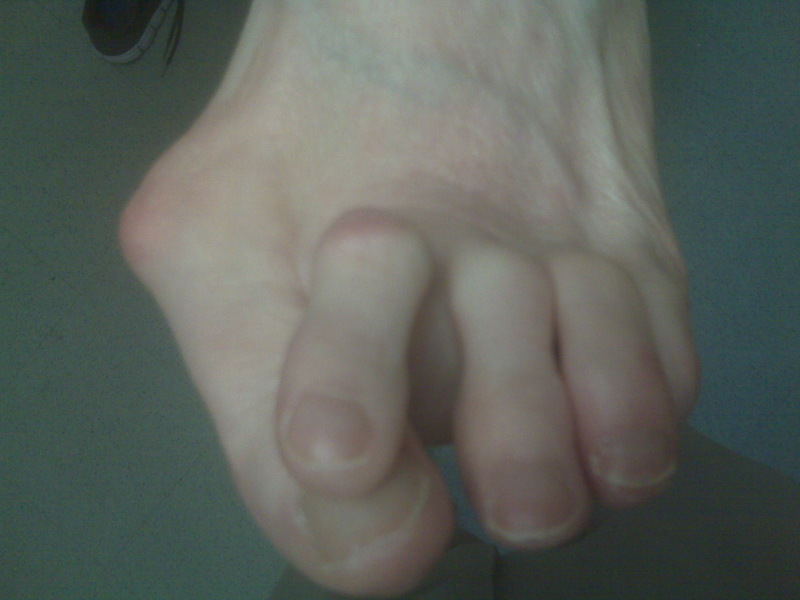 First push up on the bottom Hammer toe of the metatarsal head associated with the affected toe and see if the toe straightens out. If it does, then an orthotic could correct the problem, usually with a metatarsal pad. If the toe does not straighten out when the metatarsal head is pushed up, then that indicates that contracture in the capsule and ligaments (capsule contracts because the joint was in the wrong position for too long) of the MTP joint has set in and surgery is required. Orthotics are generally required post-surgically.